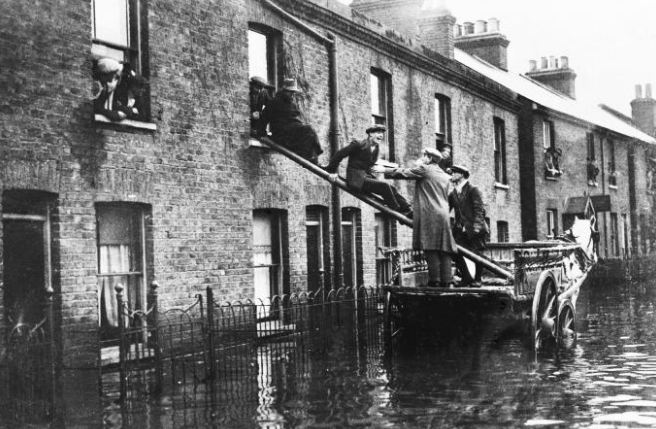 The frequency of “extreme hydrological events” actually declined during the 20th century, despite global warming. A conservative think tank that seeks to battle global warming “alarmism” celebrated during President Trump‘s first year in office, according to correspondence obtained by a Freedom of Information Act request. Joe Bast, the co-founder of the Illinois-based Heartland Institute, wrote to allies in January that 2017 had been “a great year for climate realists” due to policies pursued by the Trump administration. The email referred to the White House’s efforts to direct federal agencies to remove references to climate change from official documents. “This is what victory looks like,” he wrote in October when noting that “global warming” wasn’t mentioned in the EPA’s strategic plan for upcoming years. “More winning, this time at FEMA,” he added in March when the Federal Emergency Management Agency cut references to climate change from its plans. According to the released emails released by the Environmental Protection Agency (EPA) Tuesday and first reported on by the trade publication E&E News, EPA coordinated with Heartland to include climate change doubters in meetings about accuracy and scientific integrity and is asking Trump officials to appoint a committee designed to combat “the bias that infected climate science and policymaking” under the Obama administration. 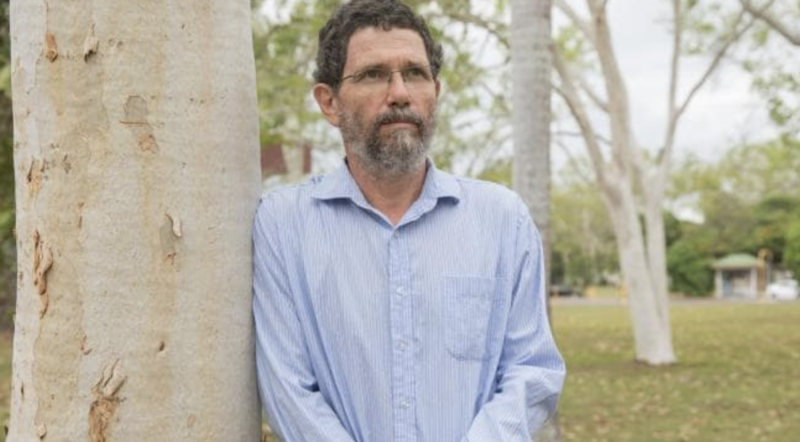 Marine science whistleblower Peter Ridd has stepped up his campaign for a new body to check the quality of Great Barrier Reef science to ensure that billions of dollars of public funding are well spent. Professor Ridd said a quality assurance panel to audit research findings would cost a small fraction of the money already earmarked and would quickly achieve results. Professor Ridd was sacked last month by James Cook University for breaking confidentiality agreements to disclose that disciplinary action was being taken against him following his public calls for better quality assurance. JCU said Professor Ridd had engaged in serious misconduct, including denigrating the university and its employees. He has raised $260,000 in public donations to challenge JCU in the Federal Court and has received wide support, including from federal Environment Minister Josh Frydenberg, who said academic freedom and the right to challenge what might be perceived as accepted wisdoms were essential in any free society. Professor Ridd told The Weekend Australian he did not want to be involved directly in the quality assurance panel, which should truly be independent. “It has to be the right people,” he said. He said the panel would operate like an audit body or formal peer review where independent scientists not employed directly by the group were paid to analyse the findings of keystone research papers. Professor Ridd said his motivation for better quality assurance was the so-called “replication crisis”, which was an open secret in the science community internationally. A series of major campaigns to replicate and check recent scientific results had shown consistently that about half were wrong. China’s carbon emissions are on track to rise at their fastest pace in more than seven years during 2018, casting further doubt on the ability of the Paris climate change agreement to curb dangerous greenhouse gas increases, according to a Greenpeace analysis based on Beijing’s own data. Carbon emissions in the country, the world’s largest emitter of greenhouse gases, rose 4 per cent in the first quarter of this year, according to calculations by the environmental group based on Chinese government statistics covering coal, cement, oil and gas. If that pace continues it would be the fastest increase since 2011. 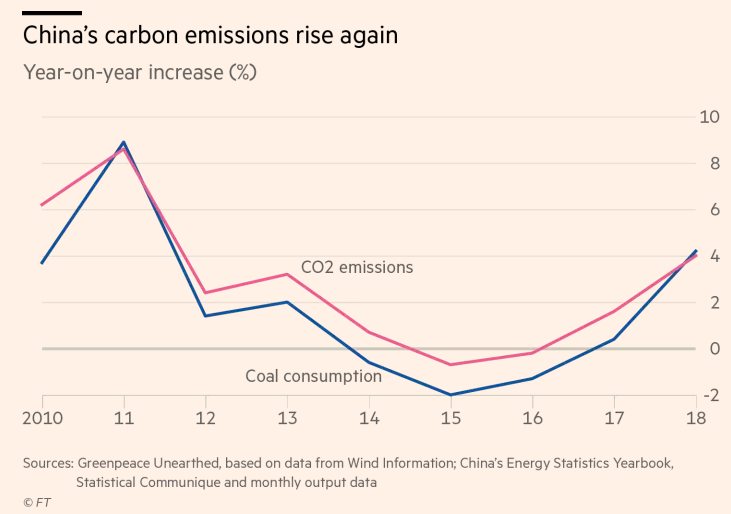 Although China has invested heavily in renewable energy such as wind and solar, a key reason for its emissions growth is rising demand for oil and gas due to increased car ownership and electricity demand. The International Energy Agency has said there will be a net increase in carbon emissions due to electric vehicles when considering life-cycle emissions in countries, like India and China, which have a carbon-intensive power generation mix. In its report on electric vehicle, IEA says under the New Policies Scenario, India will reach an 11 per cent EV market share by 2030 (for all modes combined, excluding two- and three-wheelers where the share will be 70 per cent). Under the EV30@30 Scenario outlook, India’s electric mobility transition could develop a favourable policy environment and achieve a 25 per cent EV market share by 2030 across all modes, except two and three-wheelers where over 70 per cent of sales will be electric by the same year…. 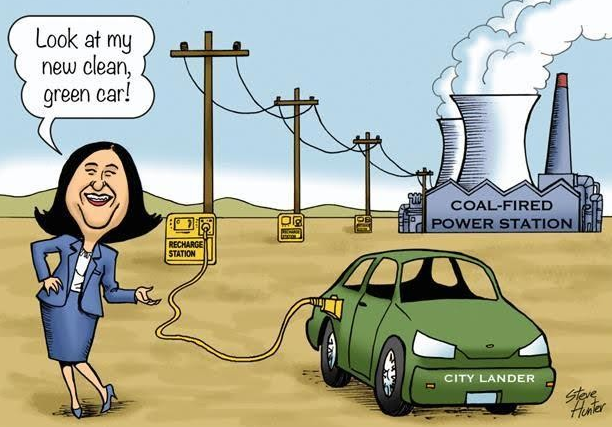 “EVs offer only limited advantages with respect to internal combustion engine (ICE) vehicles in terms of WTW (well-to-wheel) CO2 emissions, and they may even result in net increases when considering life-cycle emissions in countries with a carbon-intensive power generation mix (e.g. India and China),” says the report.